It’s one thing to establish a brand. In fact, that’s something many of you have long-since established. It’s quite another to construct a multi-faceted business model that incorporates elements of research, live entertainment, and social enterprise. 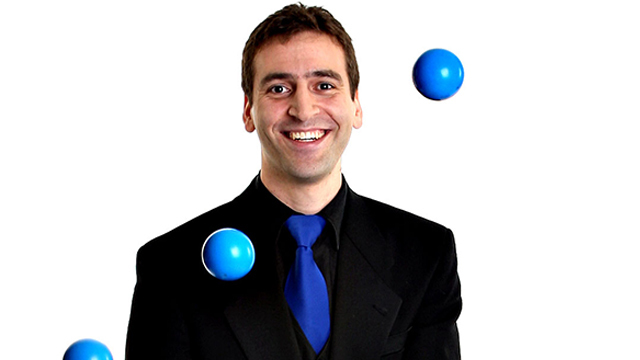 Managing to juggle all three in your daily work life? Welcome to the world of Jacob Weiss. Of course, the PhD-touting professional juggler/social entrepreneur will be the first to point out the fact that every small business owner is capable of doing the same. All you need are the right tools and a new mindset. Rewind to 2003. Jacob Weiss was beginning his post-grad run at Vanderbilt, seeking a doctorate in Biomedical Informatics, with a focus in community-based collaborations and online community building for cancer survivors and caregivers. (How’s that for thoroughly impressive?) Already having secured himself a Computer Science degree from Princeton, it was clear he had all the makings of a successful young professional. What Weiss decided to do with his talents, however, can be regarded as somewhat of a curve ball. 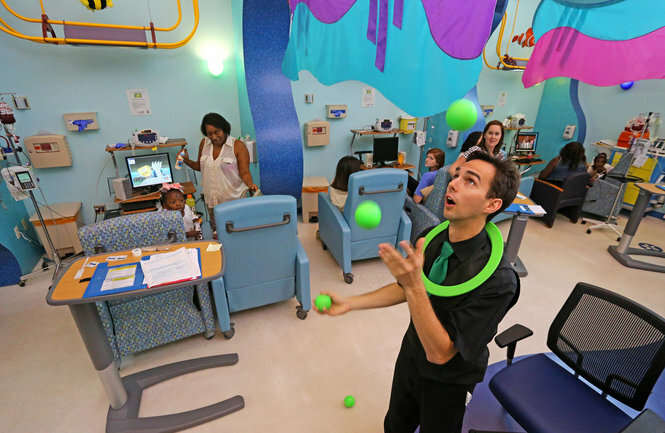 He shared, “For me, it was never just about my skill, but how I use it in fun, creative ways to benefit the community.” That skill he speaks of, you’ve likely guessed, is juggling. When paired with his educational background in community involvement and social responsibility, juggling evolved from a hobby to a full-time business venture. 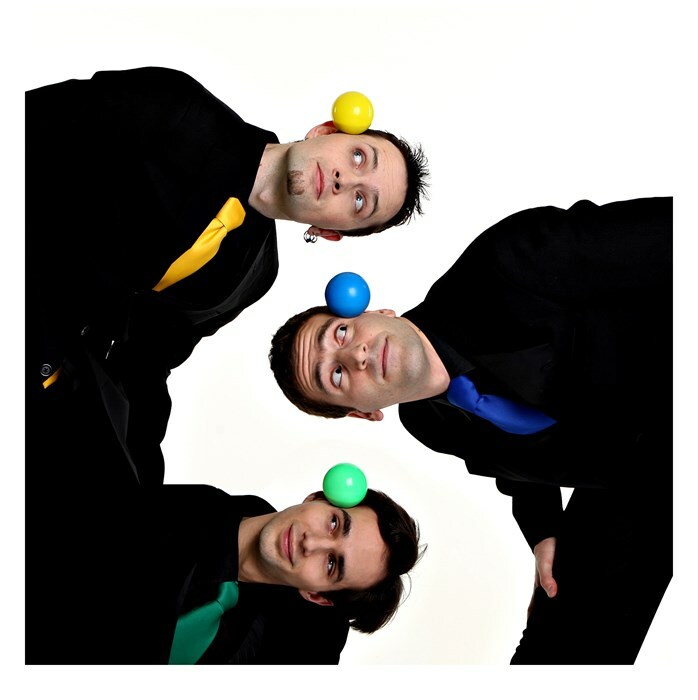 Through a series of connections within the juggling community, Jacob synced up with fellow entertainers Ted Joblin and Michael Karas to form Playing By Air Productions. The artistic troupe began traveling across the country, performing a mixture of public shows and corporate functions. But what set them apart from other acts wasn't their lineup of gigs, per se, but the business model behind them. lot of opportunities out there to give back.” Finding a balance that works for your business might require a trial and error effort on your part, but once you've figured that out, fielding those requests to donate your time won’t seem so overwhelming. Rather, you can swiftly reply with an, “I’d love to help! Here’s how I approach donated gigs…” With an established structure in place, you can rest easy knowing you won’t be putting your business in any financial or time constraints. What you will be doing is helping your brand stand out from the crowd, and for all the right reasons. Thanks to entrepreneurs like Jacob Weiss, the ubiquitous hesitancy to take on charity gigs continues to fall by the wayside. In its wake, powerful business models that integrate earnings and offerings are gaining traction. How might you alter your services as a result?